This collection of photos were taken in Nov/Dec 2011 in the beautiful limestone hinterland of Port Waikato on the west coast of the North Island, just south of Auckland. This is a fascinating area full of intriguing and mysterious limestone formations. Once leaving the small town of Port Waikato and continuing up into the hinterland the entire landscape completely changes character. It is a remote area with very little traffic. The entire area has a somewhat mysterious atmosphere and even the trees have unusual shapes here. The narrow winding gravel road undulates through limestone rock formations and splendid scenery for some 50 kilometers, passes the Nikau Cave Cafe, and ultimately joins SH22 south of the small town of Glen Murray. 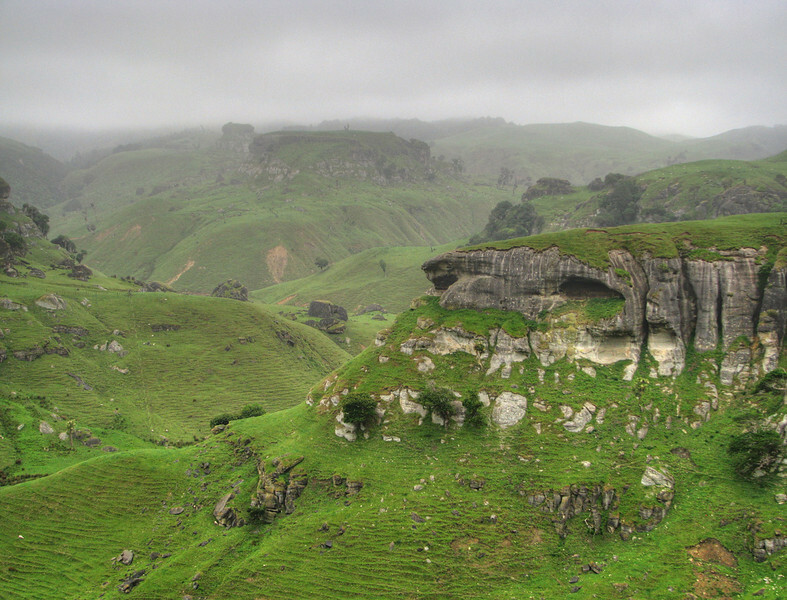 The rock outcrop portrayed as Weathertop in The Lord of the Rings: The Fellowship of the Ring (2001) can be found here and is clearly visible from the road, albeit from a distance.